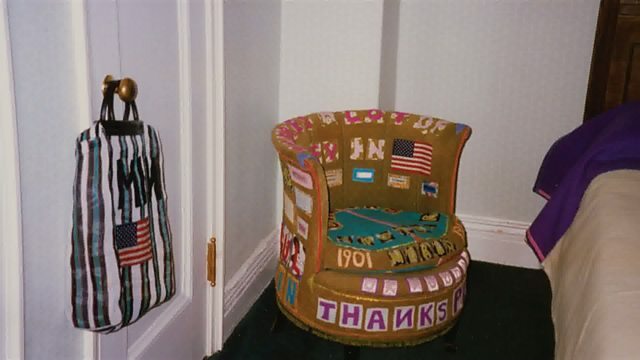 In 1994 Tracey Emin undertook a pivotal roadtrip across America with her boyfriend Carl Freedman; alongside them was an Edwardian armchair, inherited from her grandmother. imagine...—2018, Tracey Emin: Where Do You Draw the Line? More clips from Tracey Emin: Where Do You Draw the Line?